This study examined the Substance Abuse Subtle Screening Inventory-3’s (SASSI-3) ability to predict Diagnostic and Statistical Manual of Mental Disorders (5th ed., DSM-5) substance use disorder criteria. Various data sets were collected from college students, patients at a residential substance use disorder treatment center, and clients of a private, non-profit forensic and mental health treatment center (N = 241). Agreement between the SASSI-3 and DSM-5 diagnosis was fair. Excoriation disorder (also called skin picking disorder) is a newly added, often overlooked mental disorder in the fifth edition of the Diagnostic and Statistical Manual of Mental Disorders (APA, 2013). 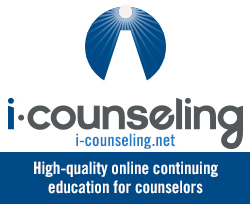 The purpose of this article is to increase professional counselors’ abilities to recognize and effectively address the symptoms of excoriation disorder. In this article, the etiologies, diagnostic criteria and assessment strategies for excoriation disorder are described. Excoriation disorder develops as the result of biological and physical contributors and might serve to regulate emotions. A review is provided of specific interventions and treatments, such as cognitive behavioral therapy and acceptance and commitment therapy, which have demonstrated success in treating those who have excoriation disorder. 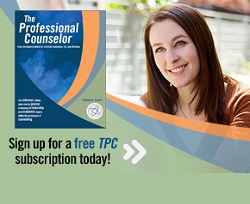 It is a pleasure to introduce this special DSM-5 edition of The Professional Counselor, which provides a solid primer regarding changes in the DSM-5 diagnosis process and how these changes will likely impact mental health professionals. Changes within the DSM-5 have prompted counselors to revisit the basics of diagnosis and consider the cessation of certain conventions (e.g., the multiaxial system) and what these changes mean to counselors as they perform their vital work for the benefit of clients. The unprecedented inclusion of various mental health professionals in the development of the DSM-5 is an inherent recognition of how this tool is being used across a wide range of professional disciplines that focus on psychopathology. I hope these articles not only inform, but encourage further research into the practical use of the DSM-5, “stimulate new clinical perspectives” in mental illness (American Psychiatric Association [APA], 2013, p. 10), and inspire continued professional dialogue around DSM nosology and the diagnostic processes. The Diagnostic and Statistical Manual of Mental Disorders, Fifth Edition (DSM-5) includes numerous alterations to specific disorders, as well as fundamental conceptual and organizational changes. The purpose of this article is to review three fundamental conceptual changes in DSM-5: the harmonization of the manual with the International Statistical Classification of Diseases and Related Health Problems, the introduction of spectrum disorders and dimensional ratings, and the new organization of the manual. For each change, potential benefits and shortcomings are discussed in terms of innovation, limitations and clinical implications. The fifth edition of the Diagnostic and Statistical Manual of Mental Disorders (DSM-5; APA, 2013) continues its 60-year legacy as a standard reference for clinical practice in the mental health field. Six mental health disorders are reviewed with a focus on changes between the DSM-IV-TR and the DSM-5 that represent the new landscape for each of these disorders, respectively. Following the summary of changes, a clinical scenario is presented so that counselors can capture the vision of using the DSM-5 in their counseling practice. Clinical formulation (sample diagnosis) using the DSM-5 is also presented for each disorder classification. The American Psychiatric Association introduced emerging measures to the fifth edition of the Diagnostic and Statistical Manual of Mental Disorders (DSM-5) classification system. The authors present a primer on dimensional assessment and a review of the emerging measures endorsed by the American Psychiatric Association. The development of the emerging measures is discussed in light of the 1999 Standards for Educational and Psychological Testing and the DSM-5 criteria, showing that the measures lack conformity to various evidences of validity and lack alignment with the DSM-5 criteria. Hence, counselors should be cautious in the adoption of such measures because the measures may not augment comprehensively the categorical system of diagnosis currently endorsed by the American Psychiatric Association. The 2013 publication of the American Psychiatric Association’s Diagnostic and Statistical Manual of Mental Disorders, fifth edition (DSM-5) marked the reemergence of issues related to the appropriateness of diagnosis and the uses of the DSM-5 within the counseling profession. 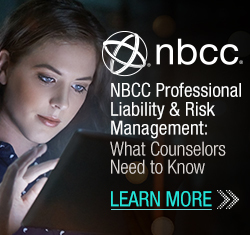 Concerns focus on the implications of the DSM-5 for counseling professionals whose professional identity is grounded in a prevention and wellness model, and the impact of the diagnostic process on counseling ethical practice. In this article, the authors explore the use of the DSM-5 in counseling training and practice. The authors also discuss integrating DSM-5 diagnosis into a counselor training framework while maintaining a wellness orientation. Multicultural and strength-based considerations are recommended when using the DSM-5 in counseling training and practice, while maintaining consistency with a philosophical orientation focused on development and wellness and delivering services that are indicative of a unified counseling professional identity.